Weather records were broken in Connecticut today. The high at Bradley Airport reached almost 74 degrees. Though this weather is beautiful, it forecasts a terrible tick season. 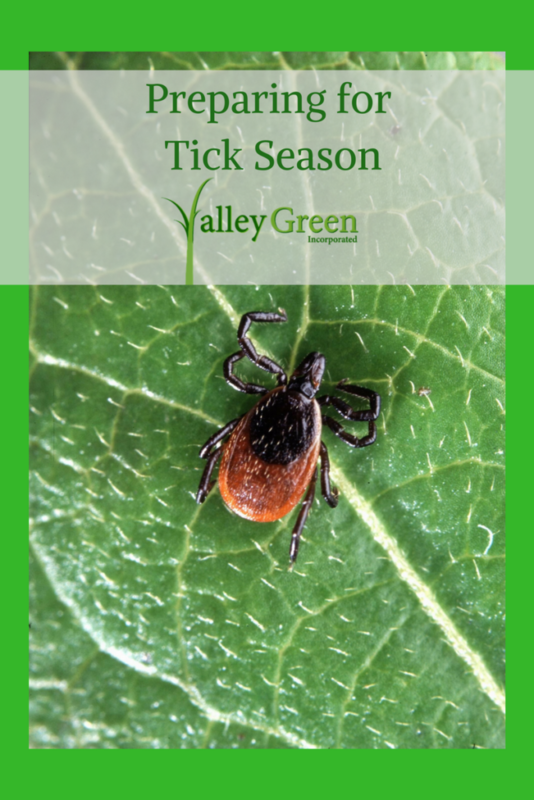 Valley Green offers many varieties of tick repellent at our stores. Preparing for tick season on a golf course, client’s lawn, or a city park can be challenging. Ticks carry diseases such as Lyme and Rocky Mountain Spotted fever. Do yourself a favor and prepare when venturing out in this spring. We have some ideas on getting the jump on these pests before it gets too bad. Spray the lawn! Do not forget the perimeter of the house, under decks, and patios, porches, and playscapes. Cut the client’s grass low. Ticks prefer taller grasses. Remove leaf litter piles and brush. Ticks love to hide and breed in these piles once the snow melts. Apply deer repellent. Deer are a frequent carrier of the ticks that spread Lyme Disease. Remove bird baths. Birds also carry ticks and attracting them will also bring ticks. Prune trees and shrubs. Ticks are less likely to be attracted sunny areas. Don’t overwater your grass. Ticks are more attracted to moist areas.